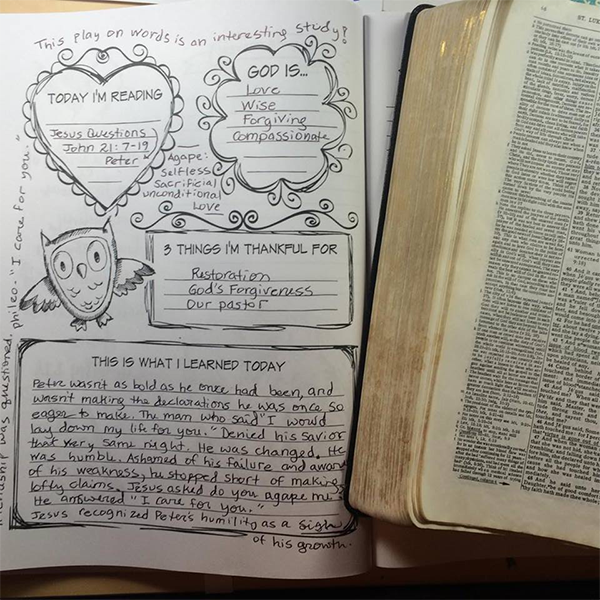 Bible Study Conclusion and an Exciting Announcement! Before we conclude our “Learning to Love Bible Study,” I wanted to answer a question that I’ve been getting all week. The answer is yes–VERY soon! Another four-week study is underway. This one will begin on March 7th and run until April 1st. The study guide will be free to everyone. If you would like to order a copy of my journal to use alongside this study (optional), you have two options. 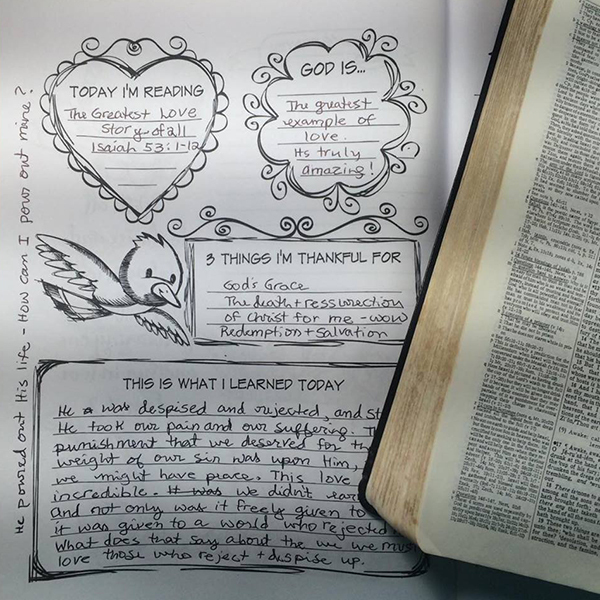 You can use the 30-day journal many of you used last time which was prayer and Bible-journaling combined. 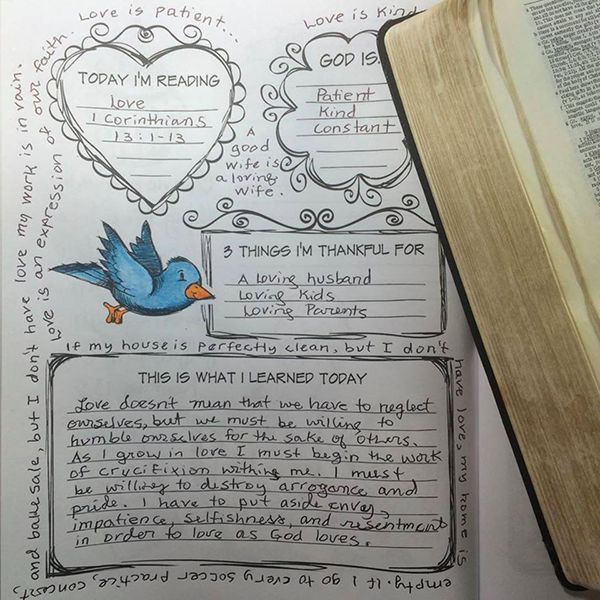 Or you can order my brand new Quieting Your Heart 6-Month Bible Study Journal. Amazon JUST marked it down to only $7.90, which is an incredible price for a 6-month journal! I’m not sure how long that sale will last. (go to Amazon for a peek inside!) Just so you know the study journal isn’t a prayer journal. I’m working on a 6-month prayer journal that will be ready in about 3 weeks. The journals are optional. You can just as easily use a pretty journal from the dollar store or lined paper in a binder–whatever you like. After a lot of contemplation and prayer I’ve decided to go with the theme of Faith and Provision. We often learn about faith–it’s a popular topic–but not so much provision. When I started taking a closer look at it through scripture I discovered how God’s provision is in His timing, by grace, through faith, in unexpected ways, in abundance, and miraculous. It’s not always the same, and rarely what we expect. I think it would be really interesting to take a look at those week by week as we dig into the scriptures. So here’s how it’s going to unfold. I’m working on a printable study guide right now. I’ll have that out to you here on the blog next Friday, February 24th. Again the study guide will be FREE to everyone. I’ll also have the schedule, a bunch of helpful links, and more information. I don’t know about you, but I found these last four weeks INCREDIBLE! I absolutely loved this Bible study. This last part in particular from Isaiah chapter 53, was amazing. You can’t study that chapter without coming away changed. 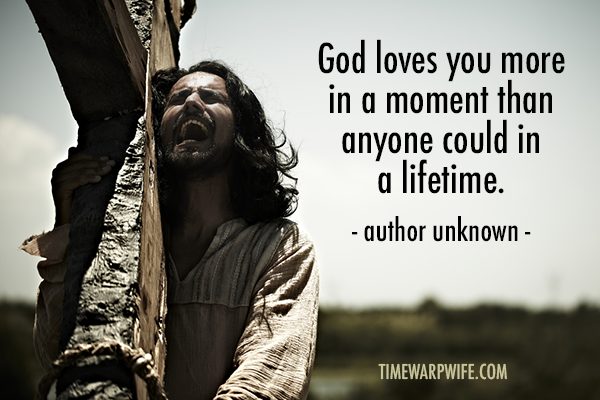 God’s love is unlike anything we’ll ever experience. And I have a feeling that we’ve only seen a glimpse of it’s depth. Reading through scripture I saw how humble Agape love truly was. I saw how it’s so unlike anything I’ve ever found in this world. It doesn’t make sense to most people, because it goes against our natural desire to seek our own well being before that of another. We come out of the womb screaming. We want to be loved, we want to be held, we want to be fed, and we want to be seen. But as we grow we learn how to love, how to hold, how to see and feed others. We learn how it’s more important to give than it is to receive. We learn that patience and kindness doesn’t always come easy. And we learn that putting aside our pride is one of the hardest things we’ll ever do. John 21:7-19 is such an interesting study. Looking to the Greek translation we see a play on words that gives us a deeper understanding of Peter’s growth as a Christian since the crucifixion of Christ. If you have thoughts on this study, add your comments to this thread. Peter wasn’t as bold as he once had been, and wasn’t making the declarations he was once so eager to make. The man who said, “I would lay down my life for you,” (John 13:37) had denied his Saviour 3 times that very same night. He was humbled by his failure to love at all costs. It’s not that he didn’t love Christ with all of his heart in this passage of scripture, but rather he was ashamed of his failure and aware of his weakness. And so when Jesus asked him, “Do you love (agape) me,” Peter’s answer was “You know that I love you” (I care for you – phileo). Jesus asked him again, “Do you love (agape) me,” Peter’s answer was “You know that I love you” (I care for you – phileo). Jesus recognized Peter’s humility as a sign of his growth. He was ready to lead the church. Love is an expression of our faith. It doesn’t mean that we have to neglect ourselves, be we must be willing to humble ourselves for the sake of others. As I grow in love, I must begin the work of crucifixion within me. I must be willing to destroy arrogance and pride. I have to put aside envy, impatience, selfishness, and resentment in order to love as God loves. A good wife is a loving wife… If my house is perfectly clean, but I don’t have love, my home is empty. A good mother is a loving mother… If I go to every soccer practice, concert, and bake sale, but I don’t have love my work is in vain. If I have failed at everything I tried to do, but at the end of the day I can say I loved well, then I have done much. Reading through this chapter, I got to thinking that there’s nothing I could possibly add to this chapter. The words are so powerful on their own. I’m truly in awe of His love. He was despised and rejected, and still He took our pain and our suffering. The punishment that we deserved for the weight of our sin was upon Him, that we might have peace. This love is incredible. We didn’t earn it. And not only was it freely given to us, it was given to a world who rejected Him. What does that say about the way that we love? Are we ready to love those who reject and despise us? What strikes me about this verse is that the Jewish people had mostly likely read this chapter in Isaiah many times. They might have even thought, “Oh this poor man.What a horrible thing he endured.” And yet, when Jesus suffered, at their hands, somehow they missed the connection between Jesus and this chapter. Did they believe the message? Was the arm of the Lord revealed to them? Who of His generation protested (v:8)? Who of our generation will believe God’s message? Who of our generation will protest for Jesus’ name sake? Lord help us to believe Your message. Help us to not miss the connections. Please extend Your arm and continue to reveal Your Son to the world. Thank you, Darlene. This study has been so precious to me. I thank God for your humble heart. Your gift of sharing God’s word in such a loving way has so inspire me to lay down my life (selfish desires) and live for Him. He promises abundant life in John 10:10, my dear husband andI now desire that humble life in Christ, a million times better than anything the world can offer. Our family has truly been blessed by your teaching. And I love the 6-month journal and the young lady journal for our daughter too! May God continue to bless you with wisdom and grace, for His glory. Amen. 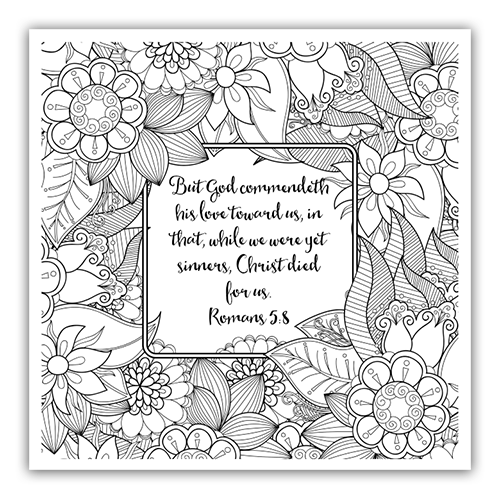 Beautiful coloring page! Thanks for sharing it. Did you say what the new study will be? Thank you so much for this study. I have truly enjoyed it. I can’t wait to see what your next study holds. Just the right timing in my life for your study. Our Good Lord God knows when and what we need and provides it in His perfect time and perfectly in our lives. Jesus’ tenderness towards Peter will always be one of my most cherished parts of the Scripture. Thank you for this study! Thank you, for this Bible study, it was a eye opener where Jesus too could do His work after been baptized with the Holy Spirit, I never thought about it that way, it so amazing. We all need the Holy Spirit and Gods love. I can’t go without it. God Bless. I ordered the 6 Month Bible Study Guide – it’ll be here Tuesday. I am excited to get started using it! Where can I find the study guide for the upcoming study/ i also ordered 4 6 month journals today for me and my friends! I cant wait to start using them. I guess I should clarify, I’m entertaining the idea of starting a blog and that is something I want to find out before I dig in. Is that something you even have to do? I have “happened” upon your blog, etc today. I ordered Quieting Your Heart 6-Month Bible Study Journal. I am interested in the Bible study, but I think it has already begun since a date I see is Feb 24th. Can I start now? If so, what do I need to do besides getting the journal? I am hurting….. I am hoping this will help. Thank you.